After very hearty breakfast at the hotel, drive to Mandawa located in the heart of Shekhawati region, Rajasthan, India. Check-in at the hotel. In the afternoon, visit the village with colorful frescoed mansions, temples and charming little shops. Dinner and overnight stay will be at the hotel. After breakfast at the hotel, drive to Bikaner, Rajasthan. On arrival, our representative will assist you to transfer you to the hotel. Freshen up and relax at the hotel. In the afternoon, visit the Junagarh Fort and Lalgarh Palace. Dinner and overnight stay will be at the hotel. Have breakfast at the hotel. Visit the famous Deshnoke Rat Temple also called Karni Mata Mandir. In the afternoon visit the Camel Breeding Farm & Research Center. Enjoy camel safari rides during evening time. Dinner and overnight stay will be at the hotel. After breakfast at the hotel, drive to Jaisalmer, situated in the Thar Desert of Rajasthan and famously called the Golden City of India. On arrival, our representative will assist you to transfer you to the hotel. Freshen up and relax at the hotel. On arrival, our representative will assist you to transfer you to the hotel. Freshen up and relax at the hotel. Dinner and overnight stay will be at the hotel. After hearty breakfast at the hotel, embark on the sightseeing tour of the desert city of Jaisalmer, the Golden City of India. Major attractions include Golden Fort, Jain Temples, Havelis, Sam Sand Dunes and Camel Safari Rides. Dinner and overnight say will be at the hotel. Have breakfast at the hotel and then drive to Jodhpur, the second largest city of Rajasthan. Fondly known as Blue City, Jodhpur is a historical town dominated by the massive Mehrangarh fort, topping a sheer rocky ridge right in the middle of the town. On arrival, our representative will assist you to transfer you to the hotel. In the evening visit massive Mehrangarh Fort, the Jaswant Thada, which harbors the royal cenotaphs, built in the marble and the Mandore Gardens, a memorial for former rulers of the area. Dinner and overnight stay will be at the hotel. Have hearty breakfast at the hotel. Later drive to Kumbhalgarh Fort. Reach and check in at the pre-arranged hotel. Relax. Later explore the famous Kumbhalgarh Fort. Dinner and overnight stay will be at the hotel. Have hearty breakfast at the hotel. Later drive towards Udaipur (the City of Lakes & Palaces) en route visiting Ranakpur Jain Temples. Arrive in Udaipur and check-in at the hotel. Spend rest of the day at leisure. Dinner and overnight stay will be at the hotel. Take breakfast at the hotel. Drive to Kota visiting en route Chittorgarh Fort. On arrival at Kota, check-in at the hotel. Spend rest of the day at relaxation. Explore attractions and monuments of Kota. Dinner and overnight will be at the hotel. Have breakfast at the hotel. Drive to Ranthambhore visiting en-route Bundi. Explore historical monuments, sites and attractions of Bundi. On arrival at Ranthambore, check-in at the hotel. Dinner and overnight stay will be at the hotel. Enjoy jeep safari ride in Ranthambore National Park, famous for royal Bengal tigers. In the afternoon, drive to Jaipur and check-in at the hotel. Dinner and overnight stay will be at the hotel. 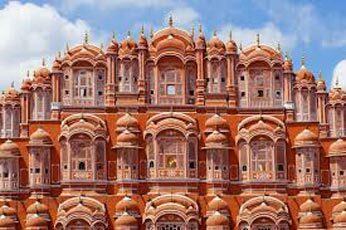 Jaipur is the capital city of Rajasthan. It is famously known as the Pink City of India. 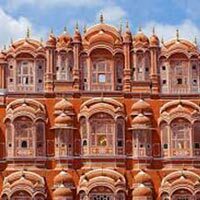 Today after breakfast you will proceed for Jaipur city tour. Major attractions include Amber Fort, Jal Mahal, City Palace, Hawa Mahal, Jantar Mantar, Birla Temple, Rambagh Palace, Albert Hall Museum, Local Bazaars, etc. Dinner and overnight stay will be at the hotel. Take breakfast at the hotel. Later drive to Agra in Uttar Pradesh en route visiting Buland Darwaza, Panch Mahal and Jodha Bai Palace at Fatehpur Sikri. Arrive in Agra and check in at the hotel. Later visit the Taj Mahal –one of the Seven Wonders of the World and the Symbol of Love. Dinner and overnight stay will be at the hotel. Take hearty breakfast at the hotel. Visit the Agra Fort and Itmad-Ud-Daulah Tomb. Later drive back to Delhi. On arrival in Delhi, our representative will transfer you to the New Delhi International Airport to board flight to onward destination.